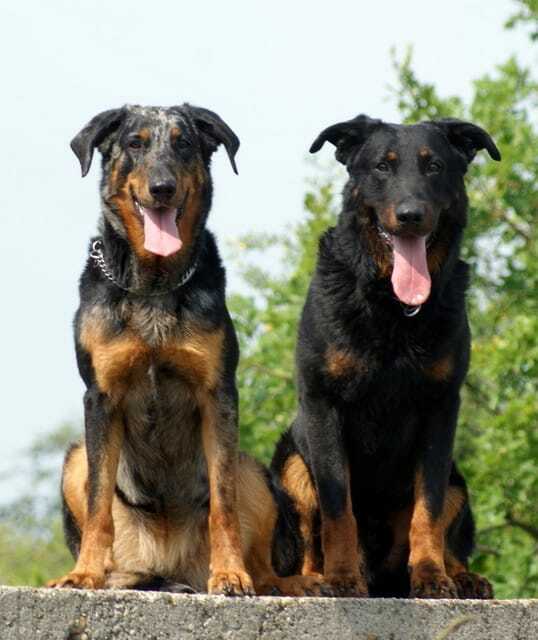 The Beauceron is a French dog breed that dates back to 1578, according to a Renaissance manuscript. In 1809, the Rozier Abbey had reports of dogs guarding herds and flocks. In 1863, Pierre Megnin finally designated two breeds of sheepdog – the short coated Berger de Beauce (Beauceron) and the long coat Berger de Brie (Briard.) This dog isn’t often seen outside France. The Beauceron is a fantastic sheepdog and is happy when given a job to do, He’s easy to train and a quick learner. However, he also likes independence. His short coat means he doesn’t need much grooming. He will be loving and loyal to his family but will protect them against intruders and is wary around strangers. He’s 24 – 27.5 inches high.